The Moms Co. 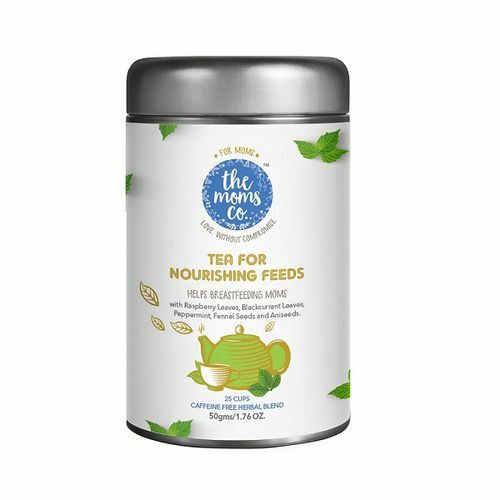 Tea for nourishing feeds is an all natural and Caffeine free herbal blend that is created by and imported from expert formulators in Europe, with the best natural ingredients, for moms and moms-to-be. It is best suited for to improve breast feeding, provides Colic relief to infants and strengthen the uterine muscles to help the new mom get her body back in shape. Explore the entire range of Herbal Tea available on Nykaa. Shop more The Moms Co. products here.You can browse through the complete world of The Moms Co. Herbal Tea .